Christmas for the Goyers mean large family gatherings. My husband, John, came up with this simple and interactive idea. Below is the Scripture passage of the birth of Jesus. Notice some of the words are bolded. Each of the bolded words have a “sound effect” that go with them. Print out the story and the sound effects on slips of paper and have family members draw them from a jar. Then as the Bible story is read, everyone must pay attention and say their sound effect at the right time. 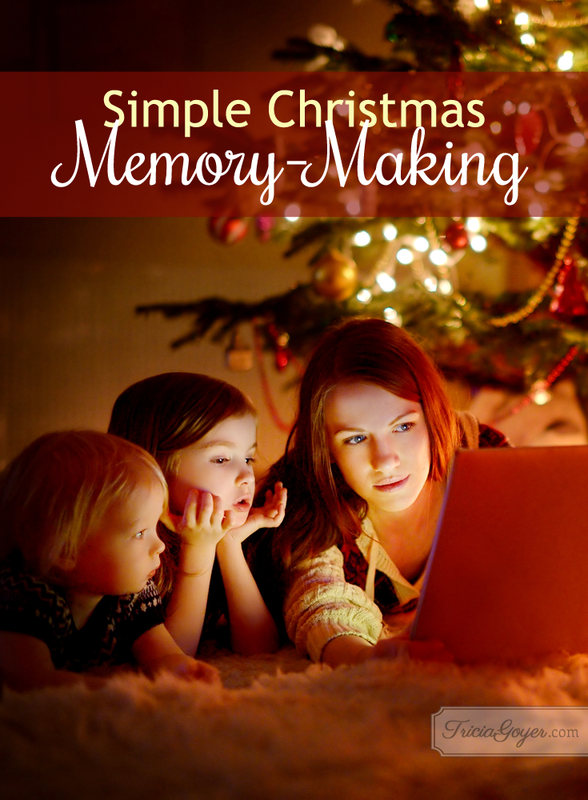 This allows for reader and listeners to participate in the Christmas story. Feel free to change the call out phrase to fit the audience of participants. While Joseph was trying to figure a way out, he had a dream. Gabriel spoke in the dream: “Joseph, son of David, don’t hesitate to get married. Mary’s pregnancy is Spirit-conceived. God’s Holy Spirit has made her pregnant. She will bring a son to birth, and when she does, you, Joseph, will name himJesus, because he will save his people from their sins. This would bring the prophet’s embryonic sermon to full term: Watch for this—a virgin will get pregnant and give birth to a son; they will name himImmanuel. Then Joseph woke up. He did exactly what Gabriel commanded in the dream: He married Mary. But he did not consummate the marriage until she had the baby. He named the baby Jesus. About that time Caesar Augustus ordered a census to be taken throughout the Empire. This was the firstcensus when Quirinius was governor of Syria. Everyone had to travel to his own ancestral hometown to be accounted for. So Joseph went from the Galilean town of Nazareth up to Bethlehem in Judah, for the census. As a descendant of David, he had to go there. He went with Mary, his fiancée, who was pregnant. While they were there, the time came for her to give birth. She gave birth to a son, her firstborn. She wrapped him in a blanket and laid him in a manger, because there was no room in the inn. As the angel choir withdrew into heaven, the shepherds talked it over. “Let’s get over to Bethlehem as fast as we can and see for ourselves what God has revealed to us.” They left, running, and found Maryand Joseph, and the baby Jesus lying in the manger. Seeing was believing. They told everyone they met what Gabriel had said about this baby. All who heard the shepherds were impressed. They told him, “Bethlehem, Judah territory. The prophet Micah wrote it plainly: It’s you, Bethlehem, in Judah’s land, no longer bringing up the rear. From you will come the leader who will shepherd-rule my people, my Israel. Instructed by Herod, the wise men set off. Then the star appeared again, the same star the wise menhad seen in the eastern skies. It led them on until it hovered over the place of the baby. They could hardly contain themselves: They were in the right place! They had arrived at the right time! 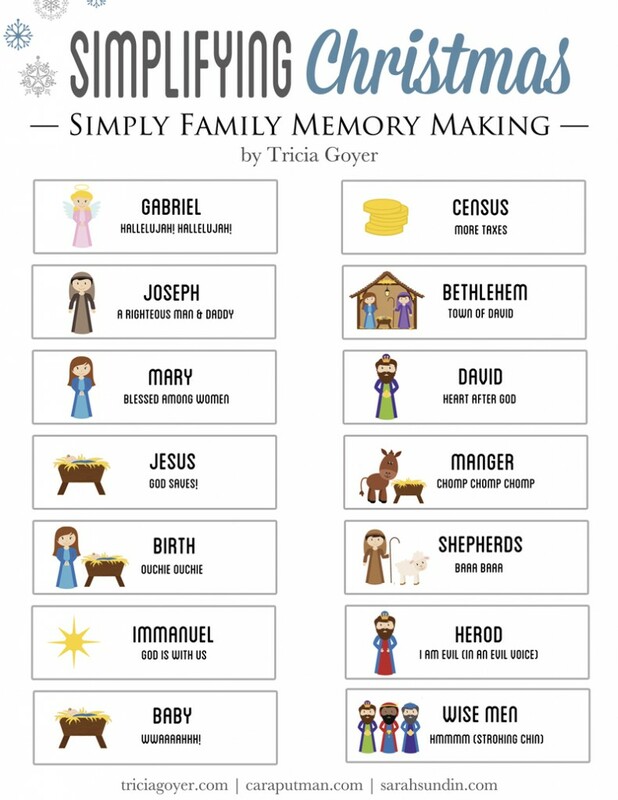 Download the story and sound effect key here and read the Christmas story as a family! Good news! 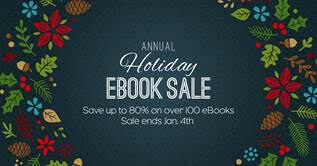 The Kissing Bridge ebook is on sale for $1.99 for a limited time. This is seriously the cutest thing ever. I shared it on my Facebook page and everyone is loving it! Thank you so much for providing such a fun, Christ-centered activity for families! We did this and had a blast! My niece was the angel Gabriel and she was hilarious because she had no idea how huge her part was! Her hallelujahs got a little tired by the end of the story haha! Thanks for a fun memory! We did it, too! I love that your family had fun! We Skyped our daughter in. She lives in Europe. So fun!